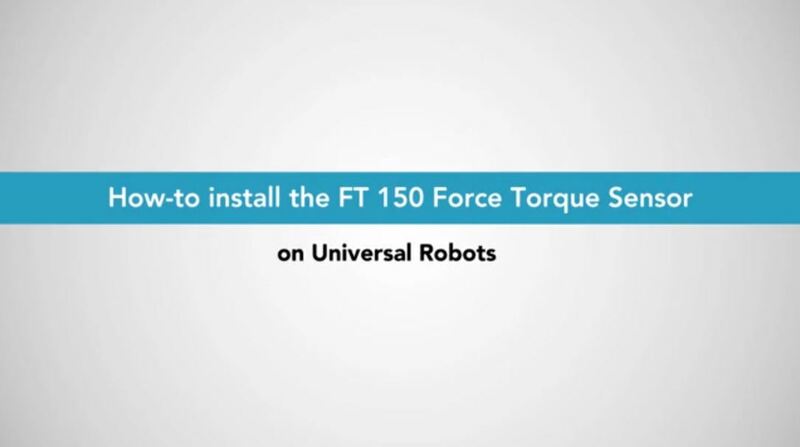 Robotiq force torque sensor FT-150. 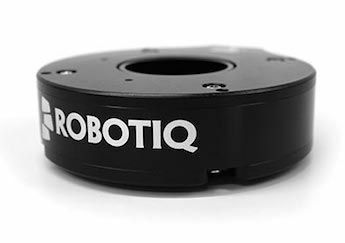 Robotiq 6-Axis Force Torque Sensor – FT 150 – specially designed for force controlled applications, enabling the users to enjoy easy integration and high immunity from external electrical noise. Mx, My, Mz: Non-significant	Hour-to-hour drift is non-significant. Can be minimized if the environment is well-controlled. Thickness: 37.5 mm	Without adapter plate. 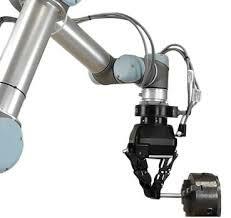 Software packages available for Universal Robots, ROS, Linux and Windows. Robotiq force torque sensor FT-300. Robotiq 6-Axis Force Torque Sensor – FT 300 – specially designed for force controlled applications, enabling the users to enjoy easy integration and high immunity from external electrical noise. Force torque sensor kit for Universal-Robots. Force Torque Sensor Kit for Universal Robots. 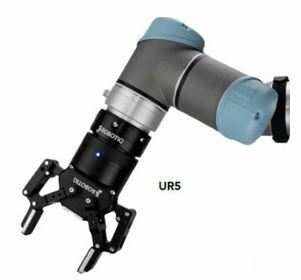 The Robotiq FT-150 force torque sensor can be added on to Universal Robots to obtain a high prescission force feedback. 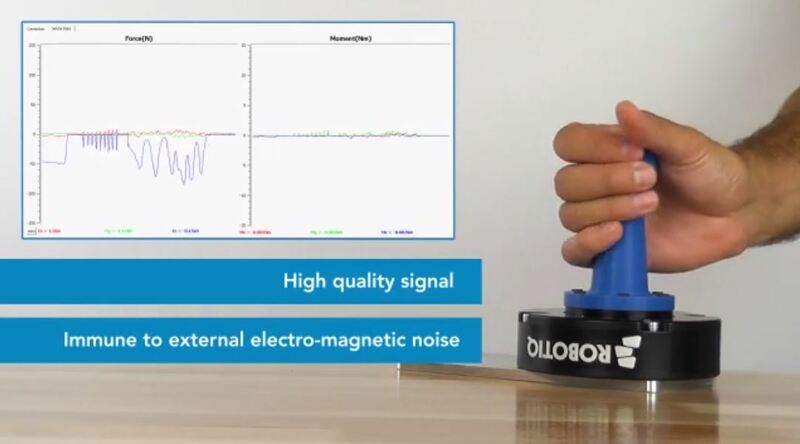 Robotiq FT 150 output a digital force torque signal. 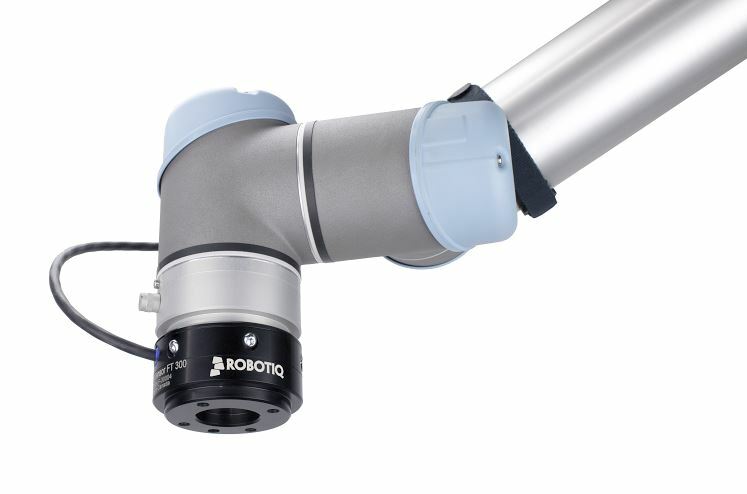 Robotiq FT 150 UR Kit includes prepackaged subroutines. 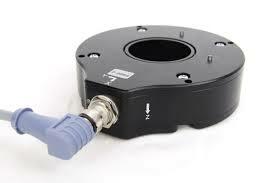 Robotiq 6-Axis Force Torque Sensor is designed for force and position control and is easy to integrate and offers high resistance from external electrical noise.